Quantity. The amount of manure your horse produces coincides with how well his body utilizes nutrients. If he consumes a consistent amount of feed each day and his exercise program is relatively routine, then the amount of droppings he produces will remain consistent. Color. Fresh manure ranges from pale yellow to black. Its color is determined by the color of the feed the horse consumes and the amount of digestive fluid (bile) required to break it down. The more protein a feed contains, the more bile necessary for digestion. In general, protein-rich feeds cause the horse to produce darker-colored manure. A diet rich in mature grass will usually cause the horse’s stool to be paler. Consistency. If you can see particles of grain or blades of undigested grass in your horse’s droppings, he may not be chewing his feed thoroughly. Have his teeth and mouth checked by a professional. Odor. The smell of your horse’s manure can signal a dietary surplus, nutritional imbalance or digestive malfunction. If his droppings smell like rotten meat, he may have too much protein in his diet, or perhaps his body is not absorbing the nutrient properly. 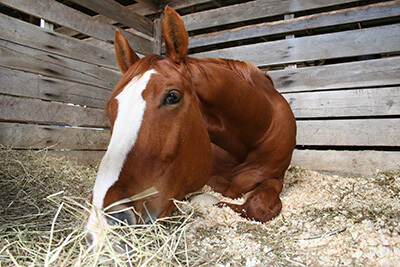 An excess of carbohydrates in your horse’s diet can cause his dropping to smell like sour biscuits. Any sudden change in the quantity or quality of your horse’s manure may be an early warning that something is amiss. Moisture Content. Manure from a healthy horse is generally deposited as balls that have a slightly shiny surface. Bone-dry droppings signal dehydration. Loose stools could mean that the food your horse is eating is high in moisture and low in fiber. Parasites. If you notice parasites in your horse’s manure, it has been too long since he was last dewormed. You may also notice parasites a day or two after your horse has been dewormed, which is normal. 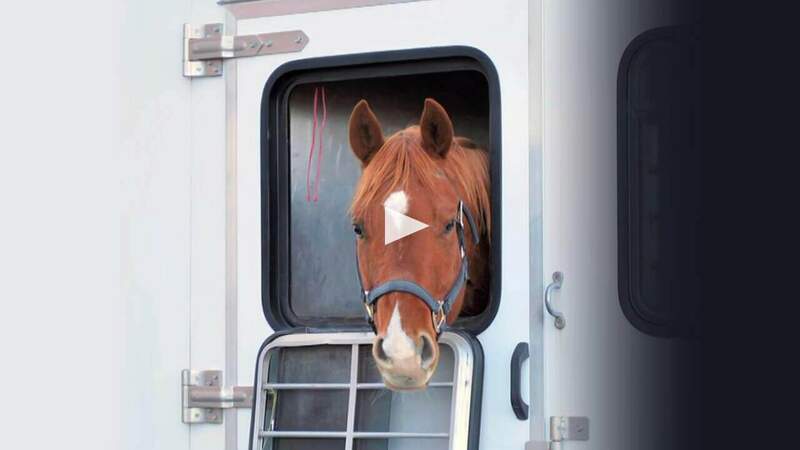 Any sudden change in the quantity or quality of your horse’s manure is often an early warning that something is amiss and warrants a telephone call to your veterinarian.